In 2015, coloring for grownups has become a global phenomenon. Coloring books have been top sellers on Amazon for months, and new news articles about people who love to color appear every week. And yet, magazines that cater to this demographic are practically non-existent. 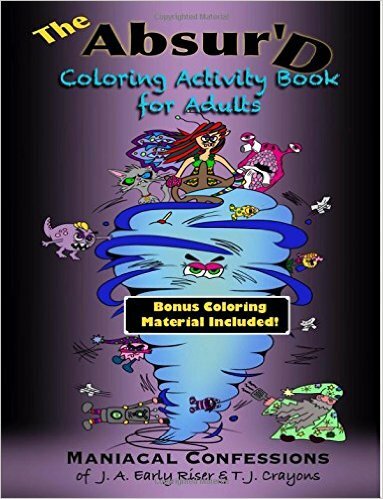 In January 2015, I started the Facebook group Coloring Books for Adults, as well as this blog, featuring reviews, artist interviews, and other coloring articles. 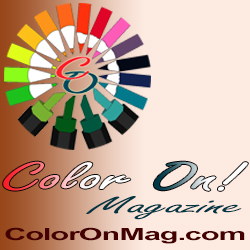 Various discussions in the group led to the decision to create Color On!, a monthly digital magazine devoted to adult colorists all over the world. Visit the Color On! Magazine site to subscribe now! We are devoted to encouraging creativity through coloring for all who wish to pursue it. From the beginner to the professional, we strive to advance coloring art and line art. We seek to educate and build awareness of the creative artist within everyone, and use coloring to promote a positive world view. By providing a quality monthly publication filled with experienced contributing artists, authors and therapists, expert tips, and other fun content, backed by a supportive community, we will build a magazine that everyone who loves coloring can enjoy. Our first issue will launch in October, and we’re inviting you to join us in this coloring journey! You can purchase single issues as they are released. Each issue will have a minimum of 15 coloring pages, plus all the articles and tutorials, for only $2.99 per issue. OR, you can get an annual subscription for only $30. 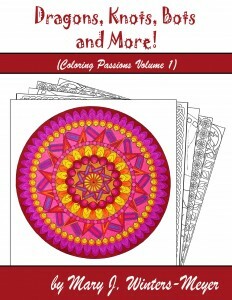 That’s over 175 coloring pages, plus dozens of tutorials and articles! That’s less than 20 cents per design!